After suffering injuries in a car accident caused by another driver's negligence, California law indicates that you are entitled to compensation for medical expenses, lost wages, and pain and suffering all attributable to negligence of another. However, there are specific legal requirements you must meet to prove your damages. Duty of care: The driver had a duty to operate his or her vehicle in a way that minimized the risk of harm to others. This assumption is a given whenever someone is traveling on a public roadway, since the law requires drivers to take reasonable precautions to avoid injuring other drivers, passengers, cyclists, or pedestrians. Breach of duty: The driver violated the duty of care by engaging in actions that are known to be unsafe. This might include texting while driving, driving under the influence, speeding, running a red light, following too closely or making an improper and unsafe turn. 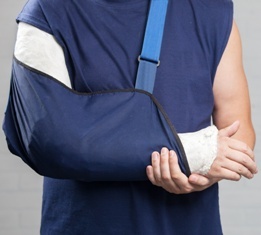 Damages: You suffered injuries requiring medical care, time off work and physical injuries. Causation: Your injuries are linked directly or substantially related to the accident caused by the driver's action. Causation is easier to prove when you have suffered immediate onset broken bones or other immediately visible trauma. However, soft tissue injuries, back pain, and other conditions that could be linked to another cause can present challenges. To protect yourself, you should always seek immediate medical treatment after an accident and report every symptom you are experiencing—even if the issue seems only minor at the time. In some types of car accidents, more than one driver is at fault. If you are determined to be partially at fault for the accident, you are still eligible to file a personal injury claim. However, your settlement will be proportionally reduced by your percentage of fault to reflect your liability for your injuries. Your specific injuries can be proven with copies of your medical records and testimony from your healthcare providers. Photographs showing visible injuries can also be helpful, since it can be hard for the court to visualize the full extent of your injuries from a simple verbal description. Medical expenses can be proven by providing copies of bills and invoices received. You may also need to provide statements from any health insurance provider who has already paid a portion of your expenses, since the insurance company will expect to be reimbursed from the settlement. Lost wages can be proven by providing pay stubs or documentation from your employer. If you are self-employed, you will need to produce tax returns, 1099 forms, business invoices, or correspondence from your clients to support your claim for lost wages. If your accident has resulted in a disabling injury that will require ongoing medical care or affect your ability to return to work, you will need expert testimony to support your claim for damages. Medical experts, life care planning experts, and vocational experts may be called to testify about your anticipated future needs. Pain and suffering is considered a type of non-economic damages, since physical pain and emotional trauma cannot be objectively measured. There is no specific calculation for these damages. They are determined on a case by case bases and depend on the nature, extent and permanency of the injuries suffered. Some states place limits on pain and suffering compensation, but California does not limit awards in car accident claims. However, if you are uninsured at the time of the accident, California law does not allow you to recover any pain and suffering damages unless the other driver is convicted of a DUI related to the incident. Insurance companies are typically in no hurry to settle personal injury claims for their full value. They will try to undercut the value of the claim and try to save themselves money, which means working with a skilled attorney is the best way to protect your right to compensation. Inland Empire Law Group's car accident lawyers are committed to advocating for the needs of California residents who have suffered injuries caused by the negligence of others. Call (888) 694-3529 to schedule an appointment at our main office in Rancho Cucamonga or our satellite office in Victorville.